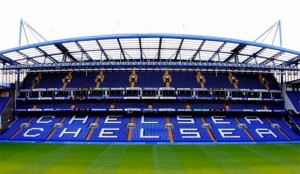 TheChelseaBlog: Ok, a pretty predictable question for starters, who do you think Chelsea are likely to sign? TCB: Well that was to the point. So what’s your initial impressions of Andre Villas-Boas? HW: ‘The Noble One’! Like him. Nice guy. Do nice guys make good managers? Bobby Robson, Carlo did. Usually not though. Hope AV-B does well. Fits RA brief of espousing attacking football. RA wants to be entertained. Results will dictate his survival. Needs to hit ground running. Chelsea are not a club associated with patience; fans are fine, RA too jumpy. He seems very decisive, ruthless even. He made immediate changes to back-room and medical staff. Emanelo is now no longer in dressing-room too. Bringing Di Matteo back was clever; brings fans and players onside. TCB: Do the press run sweepstakes on our managers? How soon into the season does that usually start? HW: Nonsense. Ancelotti was very popular with press for example and there was genuine rancour in press-box when he was sacked. I saw him after the season and told him so. TCB: So, do you think Villas-Boas can bring something fresh to the Premier League? HW: Youthful ideas. He’s not reinventing the wheel, though. He wants width, hardly a radical idea. His team will be adventuruous, so will his subs (an issue with Carlo). TCB: What about the academy, do you think Chelsea take it any more seriously than they seem to take managers and do you expect to see any players break into the first team this season? HW: I’ve met Abramovich once – at a youth game. He’s serious about home-grown. Problem is he changes managers so regularly they daren’t risk kids. McEachran needs games. I’m a big fan of Chalobah, who could emerge this season. TCB: With Manchester City wrapping up a stellar stadium naming rights deal with Etihad it is showing they have found loopholes in UEFA’s proposed FFP. 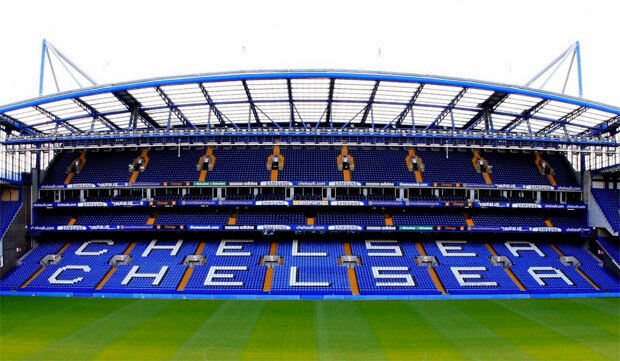 How do you think Chelsea will go about this considering Stamford Bridge can’t be expanded, our chances of moving are nil and we couldn’t find a suitable stadium naming rights partner? And what are Chelsea’s options to adhere to the FFP rules? HW: Kids. Promote youth, Chalobah, McEachran etc. Naming rights work only with new stadiums. TCB: Whilst we’re on the opposition, there’s always been a bit of victim playing from certain clubs – Chelsea think they don’t get any credit when it’s due and City have got that to come, United think the FA are out to get them – in general, do you think the press fall one way or the other? HW: Again, nonsense. A football correspondent is like a weather-man; we look out the window and report whether it’s sunny or stormy over Stamford Bridge, Anfield, Old Trafford, Oakwell. Personally, I like Chelsea, get on with Bruce Buck, Lampard, Terry, Malouda etc. Cole’s a prat at times but I’ll always respect him as the best left-back in the world. Despite mistakes (Grant, Wilkins) I respect RA – because he loves the game. He’s not in it for the money like the Glazers. Also…fantastic staff in press-room…Brian, Theresa etc. TCB: Obviously RA isn’t short of a few bob but then he’s not alone in that, so what about money in football? Necessary evil or route of all evil? HW: Always been money in football; read history of moves between clubs in the 1890s. Near-mayhem. Wages are crazy. I wish chairmen would make them more incentive-related. Say 100k a week with double for win bonuses etc. TCB: Talking about money, what’s your take on players wanting out of their contracts a lot more these days? HW: Money talks, talent walks, same old. That’s why home-grown should be nurtured. Bit more loyal. Otherwise the law of the mercenary usually applies. TCB: Another predictable one to finish, who can you see challenging for the title this season and who do you think might win it? HW: Manchester United to win. Unless De Gea fails to settle. Honest and concise answers, can’t ask for more! Good to hear reporters like bridge. I like idea of nurturing players. The question is, what kind of manager will breed patiency in RA. Either Man Utd or Man City will win the league this year, I reckon Man Utd will get Modric as well.